Welcome to Week #5 of the Wonderful Wednesday's Link-Up! I'm opening this Link-Up to anyone who is creatively teaching their children the various subjects, including fine arts. If you're new to Solagratiamom: the purpose of this Link-Up is to showcase how other families have creatively brought their lessons to life for their kids! If you are a classically educating family -all the better! All curriculum users are welcome, though! Creativity is what counts - teaching subjects in a creative way! My Favorite Kind of Crazy posted about Cycle 2 Weeks 17 and 18 where she gives a run down of each subject and resources she used to teach those at home, which included videos, hand motion ideas and book suggestions. 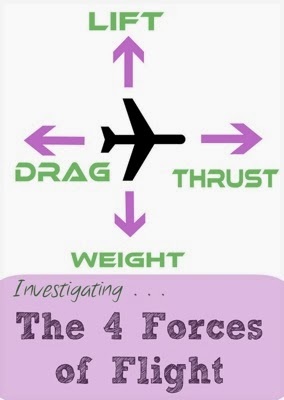 Navigating by Joy posted about the 4 forces of flight and the neat experiments that she used to explore this concept with her children. If you haven't checked it out, then I encourage you to - it certainly fits right along with our Newton's laws of motion studies for CC Weeks 16-18! Thank you to Erin, for submitting her family doing dress ups and projects from the Solagratiamom Teaching Plan, at home! I hope this will encourage more Moms to link-up this week! 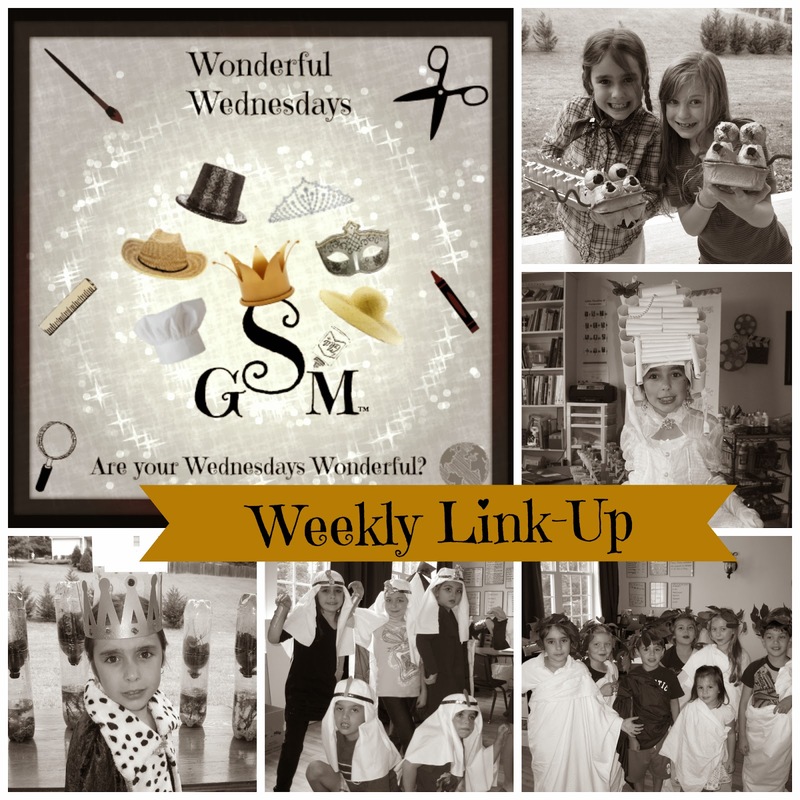 Read below on how you can link-up your family's fun learning together here each week! NEW! If you aren't a blogger - no problem! You can still link up your fantastic creations by using your Flickr account. Just post your URL from Flickr by clicking on the "you are next - click here" button below! It can just be a cool picture of something your family made or a dress up your child did! We'd love to see (you can ignore the "blogger rules" below if you don't own a blog and aren't posting from it). Only the content need fit the appropriate posts. Can't wait to see!